The dastardly cast assembles! 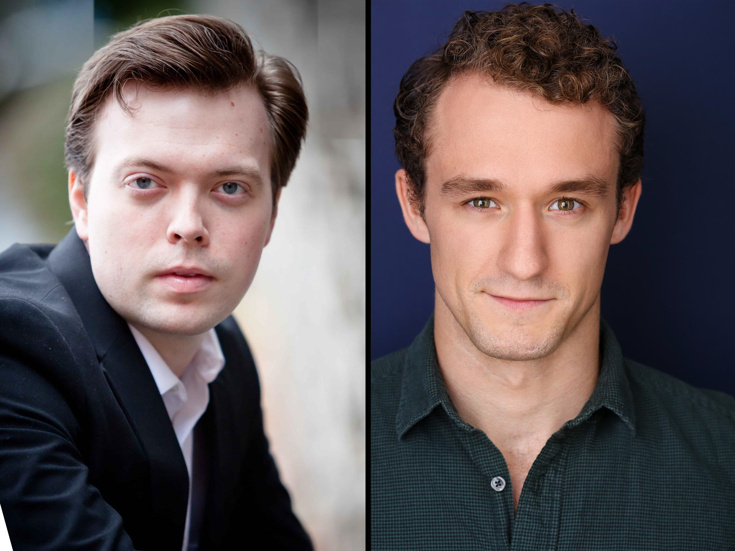 James Taylor Odom and Blake Price will headline the national tour of the Tony-winning musical A Gentleman’s Guide to Love & Murder as the eight D’Ysquith heirs and Monty Navarro, respectively. The touring production will kick off on September 27 at the Clemens Center in Elmira, NY, before continuing to additional cities across the country, including Madison, Fresno, Albuquerque, Fort Lauderdale, Portland, Atlanta, Austin, Milwaukee and Boise. In addition to Odom and Price, the touring cast will feature Colleen McLaughlin as Sibella Hallward and Erin McIntyre as Phoebe D’Ysquith. The ensemble includes Timothy Aaron Cooper, Ashton Michael Corey, Mia Fitzgibbon, Colleen Gallagher, Briana Gantsweg, Kristen Kane, Tyler Lenhart, Conor McGiffin, Ryne Nardecchia and Rosie Webber. Featuring a book and lyrics by Robert L. Freedman and music and lyrics by Steven Lutvak, A Gentleman’s Guide to Love & Murder tells the uproarious story of Monty Navarro, a distant heir to a family fortune who sets out to jump the line of succession, by any means necessary. All the while, he’s got to juggle his mistress (she’s after more than just love), his fiancée (she’s his cousin but who’s keeping track? ), and the constant threat of landing behind bars. Of course, it will all be worth it if he can slay his way to his inheritance…and be done in time for tea. The creative team for this production includes direction and choreography by Peggy Hickey, based on Broadway’s original Tony Award-winning direction by Darko Tresnjak, and her own original choreography. The musical opened at Broadway's Walter Kerr Theatre on November 17, 2013, and went on to become the most nominated and honored production of the 2013-14 Broadway season. A Gentleman’s Guide to Love & Murder is the winner of four 2014 Tony Awards, including Best Musical, Direction of a Musical (Tresnjak), Book of a Musical (Freedman) and Costume Design of a Musical (Linda Cho). To find out when A Gentleman's Guide to Love & Murder is headed to your city, click here.